Australian Automatic doors co LLC (Aadco Topp ) is a well-known Automatic doors company in United Arab Emirates that offer excellent quality Blinds in Dubai UAE These blinds are made of the finest materials. We manufacture high quality, durable products. The blinds are useful to make your window look beautiful. We have various types of blinds for Folding doors available. Choose from the best collection of vertical blinds, blinds, roller blinds printed and more. Choose from different colors, sizes, shapes and designs. Make your interior attractive with high-quality blinds in Dubai. The Integral Blinds in Dubai UAE are sealed between glass panels, so the blinds stay clean and free of damage from kids, pets, and anything else that might come into contact with your door glass. No dusting, no tangled or dangling cords, no crimping or denting and because they’re protected between glass they retain their ‘like new’ look over time and with repeated use. 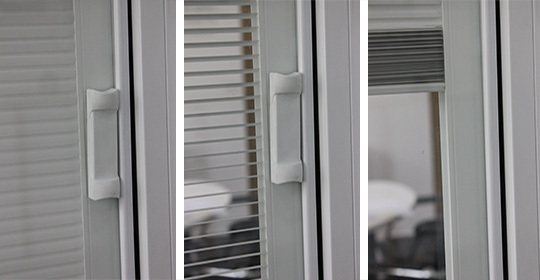 A single operation lets you tilt the blinds and raise and lower them the entire length of the door glass, with only the slightest movement required. Even the control’s shape is made to naturally fit the fingertip. An innovative design results in stacked blinds that take up the smallest of space at the top of the door glass when fully opened. 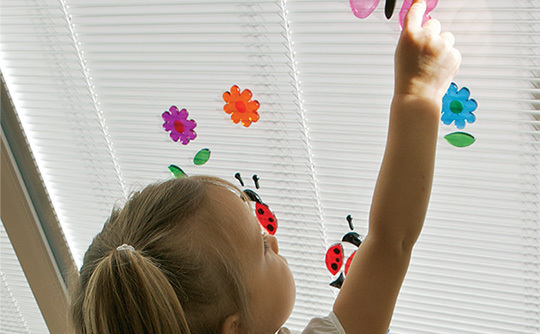 The single operator lets you raise, lower or tilt the blinds in an easy smooth movement. The levels of light and privacy are yours to control with a fingertip operation. Natural Light – Open for maximum light or closed to reduce glare. Visual Privacy – Create a wide open view or enjoy complete privacy. Browse our largest collection of Blinds for Folding doors and Windows . . We would like to offer our customers more possibilities. All of our products are made with the best quality materials. We never compromise on product quality. The customer gets what he wants. We guarantee a 100% guarantee of customer satisfaction. Our experts will provide you with the best products for your interior theme. Get portal services without any obligation. We offer demonstrations before the installation of real products. Call now at 0555 97 7438 to get doorstep service. Our Executive and experts will present you the samples with no obligation to buy. You can also drop in a mail at info@autodoors.ae in case you have a customized requirement and request for free quote. Light-Touch Blinds are available with Low-E Planitherm One or Planitherm Total glass and can be gas filled to improve u-values.